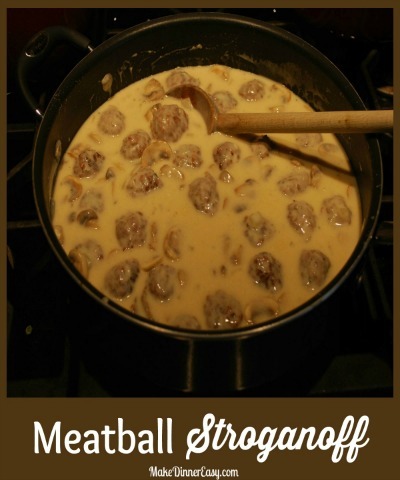 This meatball stroganoff recipe uses pre-made frozen meatballs and can be made in less than 30 minutes. 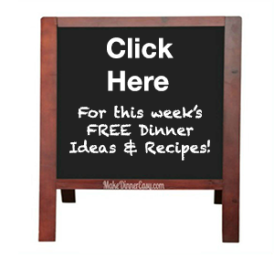 Meatball recipes can be really popular with kids and this stroganoff recipe is sure to make any cook happy who is trying to make a quick, healthy dinner. Heat the olive oil over medium low heat in a non-stick pan. Add the frozen meatballs. 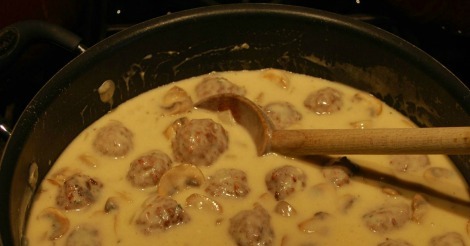 Brown the meatballs on all sides by stirring or shaking the pan. This may take 7-8 minutes. Transfer the meatballs into a bowl and set aside. Return the pan to the burner. Melt the butter and add the sliced mushrooms and diced onion. Saute 2-3 minutes until softened. Turn off the burner and add the flour to the pan. Stir until the flour is completely combined with the onions and mushrooms. Add the chicken broth and the half and half. Turn the burner back on to medium-low and stir constantly until the flour is dissolved and the mixture starts to thicken. Add salt to taste. Return the meatballs to the sauce. Heat and serve over noodles. Serves 6-8 and leftovers freeze well.